Wash the beets. Trim the stems. Place them on a sheet of aluminum foil. Drizzle with olive oil. 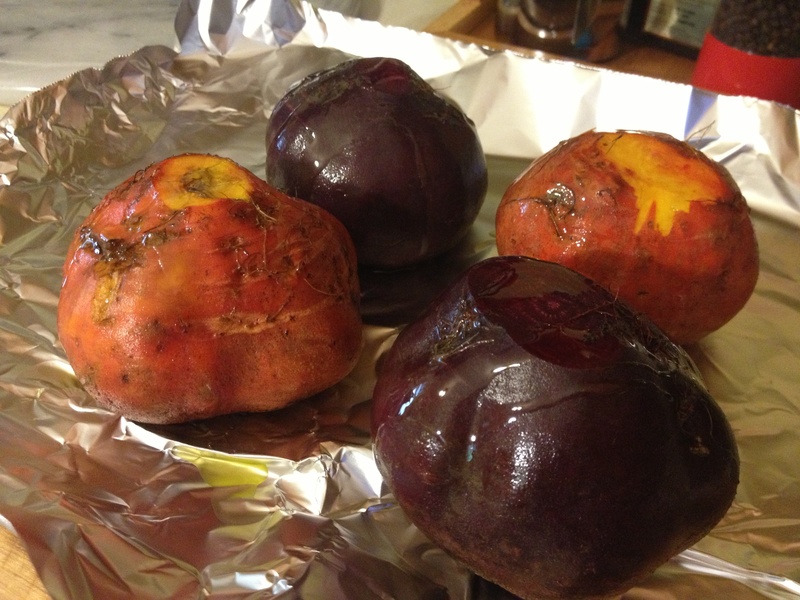 Cover with another sheet of foil- form a sealed pouch for the beets to cook in. 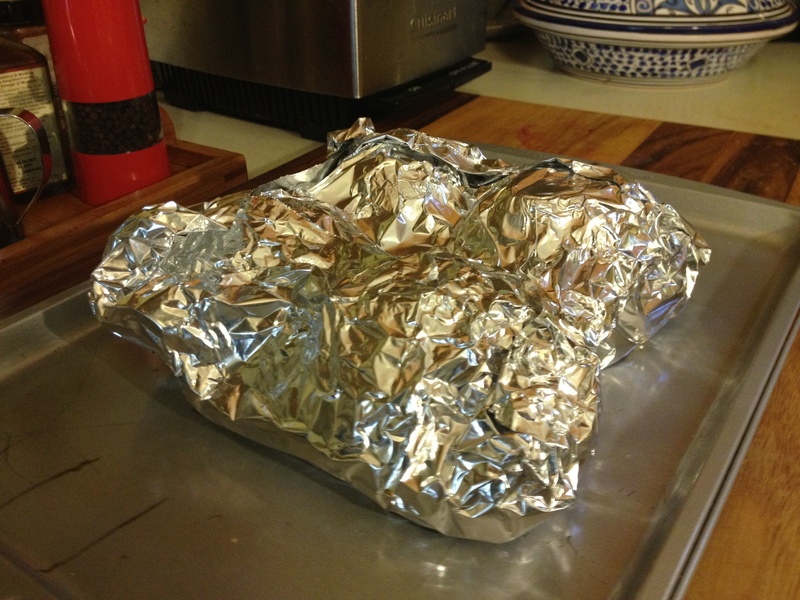 Place on a cookie sheet and roast in the oven for about 1 hour. You should check after 30 minutes and subsequently after every 15 minutes to see if they are ready. 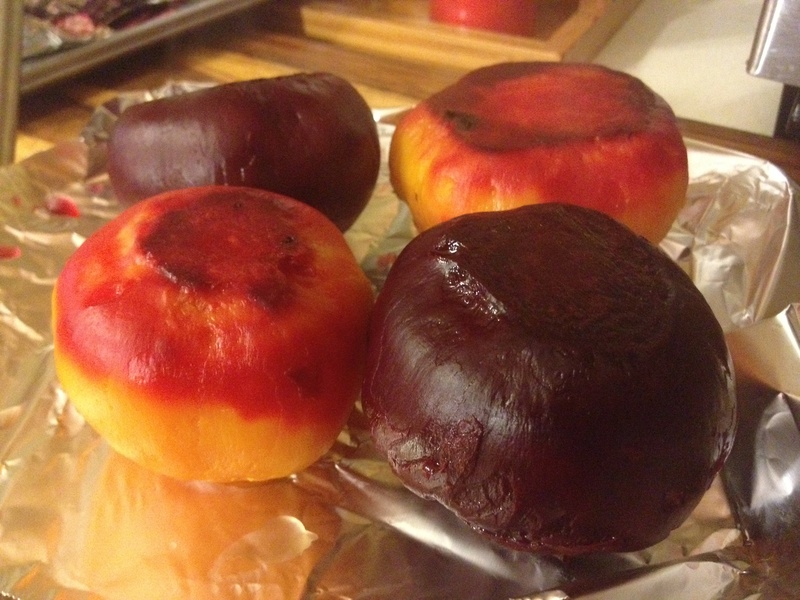 Remove from the oven and allow to cool before handling. Peel the beets. You can do it very easily now- no tools needed. They peel easier when just cooked so I recommend you peel while they are warm. 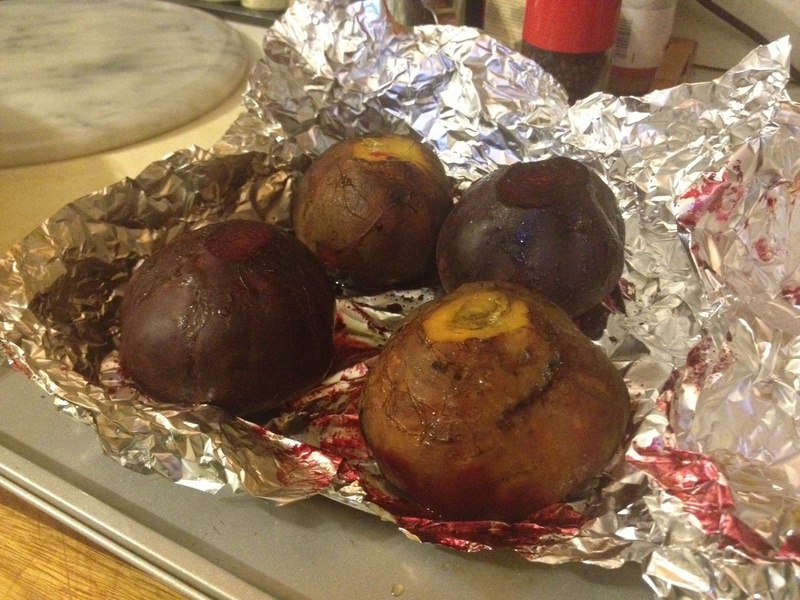 If you are not using the beets right away, just wrap them well and put them in the fridge for later.